Take your library with you! 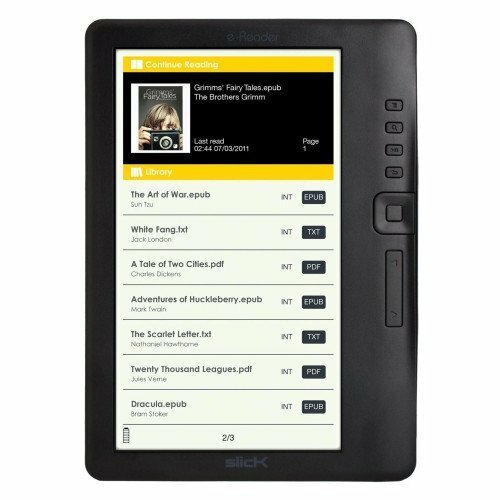 Make reading on the go a breeze with this compact, lightweight SlickTM 7" E-Reader. Features 7" High resolution color display 2GB Internal memory holds up to 2,000 books Micro SD card slot for additional storage (up to 30,000 books) Access to over 2 million books through Kobo eBook website Stores and plays music while reading Thin, lightweight design Supports ePub, PDF & TXT files USB 2.0 connection Rechargeable li-ion battery Includes high quality protective binder case!